I'm inexplicably drawn to this House of Harlow ring! 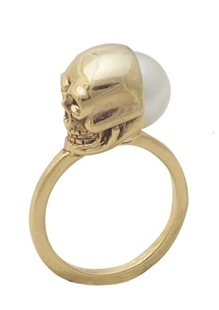 I love the glam pearl backing to the skull, contrasting ladylike with the macabre! Buy at MetroPark for $55.